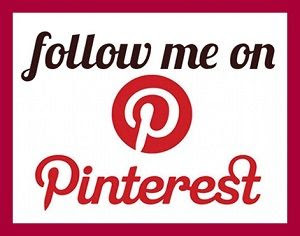 *Disclosure: Some of the links below are affiliate links. That means if you choose to purchase items through these links, I receive a small profit at no additional cost to you. I adore working out in the garage. Something about sanding, sawing, and painting just puts me in my element. When I first began working on furniture, I was using half-working hand-me-downs that just didn't get the job done. Since buying these few tools, my jobs have been easier and my work has been more professional! 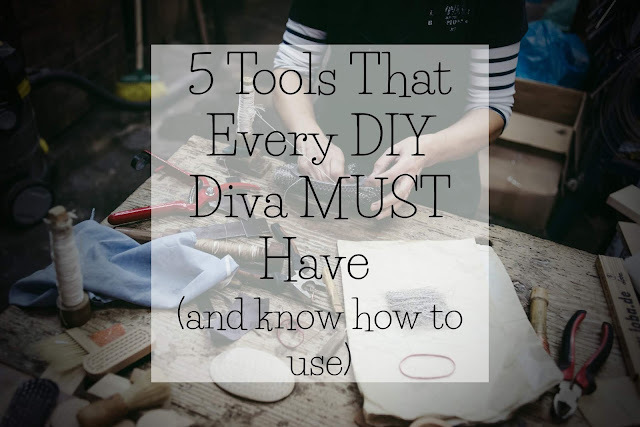 But you guys know me...I'm not going to spend a ton of money on pricey tools I don't absolutely have to have! Here are the necessities to take your job from exhausting to a breeze! Ladies, buy yourself a decent drill. You'll need this for everything from drilling holes through wood, to screwing in screws tightly and easy. That means you'll need some drill bits to get through the wood. I've even drilled through books! The one pictured above isn't the most expensive or nicest drill ever made, but it'll accomplish the mission. Most people don't need to go out an buy a crazy expensive or complicated saw. For the most part, I am only cutting straight edges, so this circular saw works perfectly for all of my jobs. It's easy to control and fairly lightweight. Being that I haven't cut off any limbs, it's pretty safe to say that this saw is a pretty good choice! Alright, this is where I start getting all warm and fuzzy about my tools. This sander is powerful, easy to use, and has a detail attachment! Since I spend most of my time sanding and repainting, this sander and I spend a lot of time together. It has a dust catcher so that sawdust isn't constantly blowing up in your face, and the detail attachment makes it easy to get in all the nooks and crannies of a chair. Yes, you need both. No, Elmer's and tape will not suffice. Trust me, invest in some good glue and a set of clamps. As someone who repairs a lot of broken wood, you would be amazed at how many projects could be easily fixed by these two cheap, simple items! So go ahead, buy that chair with the legs falling out! It's an easy fix! I love my staple gun far more than I should. I love it so much that I have a bad habit of using it even in situations where it is not the best tool. But for reupholstering seats or attaching thin pieces of wood, it's a dream and WAY faster than a hammer and nail. I got this one for my birthday and love it! Becoming a master of these few tools can take your refurbishing game up a level! Which item is your most used and loved? 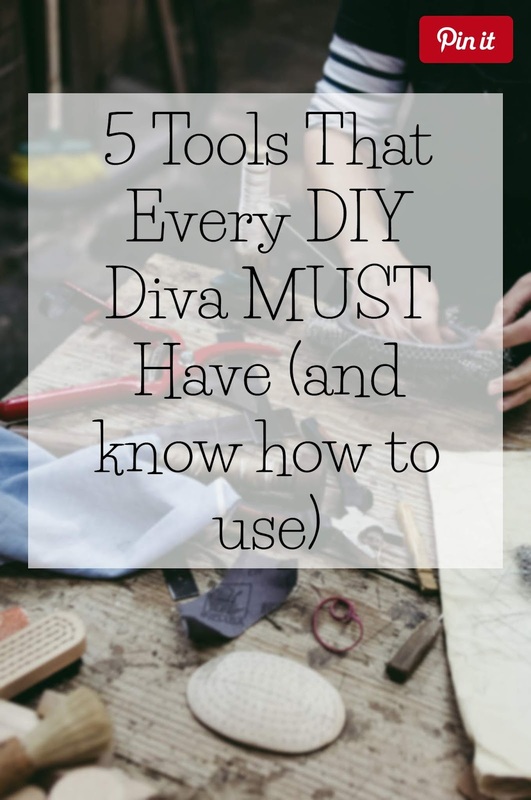 Leave a comment below and tell us your have-to-have DIY tool! I don’t know what I thought was going to be the five things but these weren’t it! Heavy equipment but you’re right, so important! Great post! Yes to every single one of these! 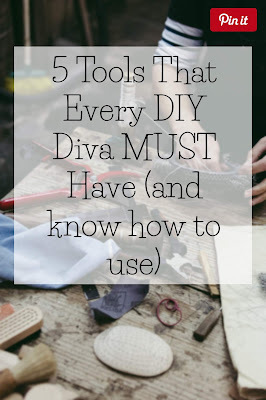 The other day I had ust been thinking about the fact that I have a lot of tools, and I was left wondering if most people (without as many tools as me) are actually about to DIY many things! What a fabulous list! I need a trip to Home Depot soon to get my missing sander to complete my set! !